This was everything I’m looking for in a young adult romance book! I was kind of disappointed by the chick lit young adult genre, because I haven’t liked any of the books I’ve read so far. But this one totally changed my mind! The main character, the story, the love interest, everything was exactly how I wanted it! What I liked about the main character, Bianca, was that she was not only stubborn (which is something that we often see with female protagonists), but she was also pessimistic, sarcastic and cynical. Generally a very refreshing point of view to read from! The love interest was the typical “bad boy” / man whore that we read about again and again. I kind of wish there was something more special about him, but I cannot say that I didn’t find him enjoyable and fun. There were definitely a good dynamic and a lot of witty dialogs between those two. What I also very much enjoyed were the secondary characters, like Bianca’s friends and her father, that were far from stereotypical and made the story that much more interesting. The storyline wasn’t anything very special on its own. I actually think I’ve seen a movie where a girl is being told that she’s the ugliest of her friends, so it was not the most original plot. The thing that made it special was Bianca’s character and if it wasn’t for her, this would be a typical love story and would have nothing interesting about it. I could definitely see this being turned into a movie, as it’s one of the best romance/chick-lit books I’ve read! 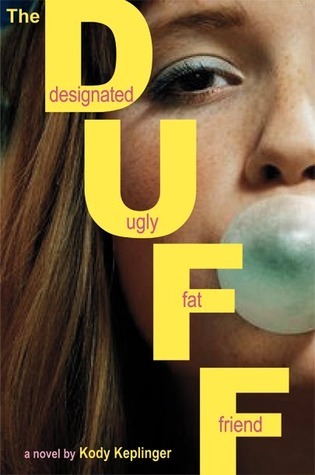 Publication: May 2004 by Penguin Group Inc. But sometimes unexpected things can happen—things such as the catering job at Wish, with its fun-loving, chaotic crew. Or her sister’s project of renovating the neglected beach house, awakening long-buried memories. Things such as meeting Wes, a boy with a past, a taste for Truth-telling, and an amazing artistic talent, the kind of boy who could turn any girl’s world upside down. As Macy ventures out of her shell, she begins to wonder, Is it really better to be safe than sorry? 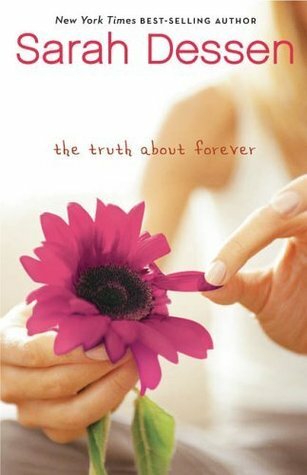 I wasn’t intending to read a Sarah Dessen book right now, but Heather from Bookables created a Sarah Dessen book club and the book for this month was the truth about forever, so I decided to join. It was going okay, really, until I realized how irritating Macy, the protagonist, was! She wasn’t so annoying from the beginning of the book, but after the middle she was starting to really get on my nerves! She couldn’t make up her mind to do anything! She hated her job, but didn’t quit it, she liked this guy, but didn’t do anything about it, she wanted to talk to her mom, but never decided to do it… the list can go on and on! Apart from Macy, I really enjoyed every other character of the book. Wes, the love interest, was a really great guy, funny, cute, artistic, anything a girl can ask for! Delia, who was the woman running the catering job, where Wes was working, was also a very interesting and refreshing character. She was exactly the opposite of what we would call a control freak; she actually wanted chaos and was feeling uneasy when everything was going well! The story of the book was very predictable and quite boring I would say… It was also a lot similar to “this Lullaby”, which makes me think that most Sarah Dessen books must have a similar storyline… I could be wrong here of course! Generally, I do still believe that this book is better than “This Lullaby”, but in the end I was so irritated and frustrated by the main character, that I ended up giving it a lower rating! I don’t think I’m going to be reading any more Sarah Dessen books any time soon!